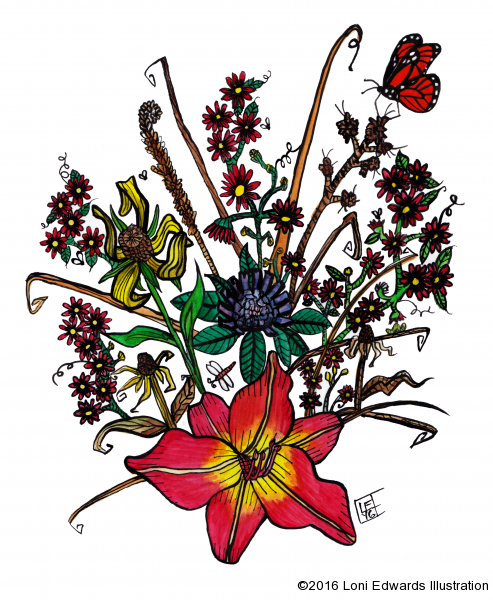 My latest painting for my Wildflower Series. This 7th one is a collection of wildflowers that I have taken photos of while going on walks. I added the monarch butterfly because I loved all of the monarchs that would travel through when we lived in South Dakota. So beautiful! This picture, along with the other 6 in this series, is available in my shop at Redbubble on various merchandise, including prints.